Here’s Christina Aguilera’s hairstyles over the years. Christina Aguilera looks playful with this long, high ponytail hairstyle at the "The Emoji Movie" World Premiere on July 23, 2017. Christina Aguilera wrapped up her low bun hairstyle during the The Voice Red Carpet Event on April 21, 2016.Want more hairstyles like this? Browse here! Christina Aguilera parts her long blonde locks in the middle and the loose big curls add sweetness to her look at the Verizon's HopeLine Program on November 12, 2015. 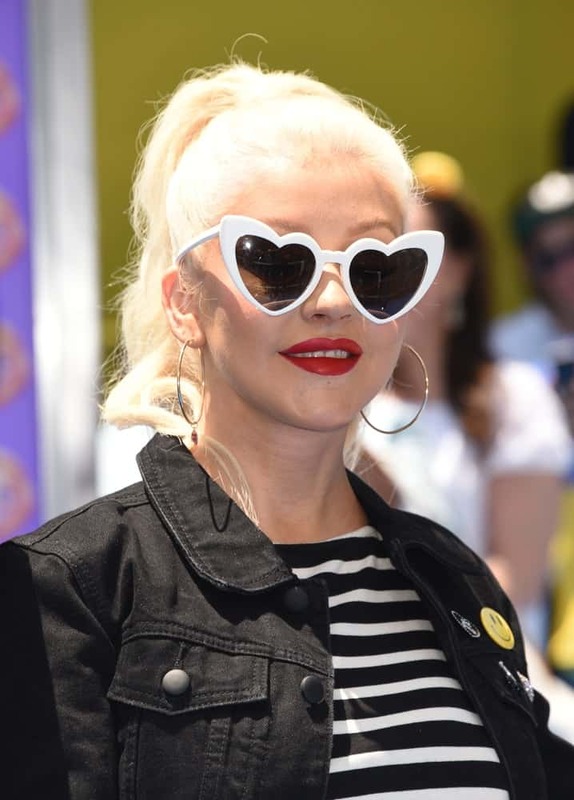 Christina Aguilera rocks a tousled bob hairstyle for her go-to looks during the "The Voice" Summer Break Party - Top 8 event on April 23, 2015. Christina Aguilera looks flawless in an all-white floor-length crack effects gown and her straight long blonde hair was styled into high ponytail at the Vanity Fair Oscar Party 2015 on February 22, 2015.